Dubai’s tourist industry has been growing at a face-pace for the past several years. Dubai is now the fourth most visited travel destination in all the world with an over ten million visitors per year. These numbers are expected to double to twenty million by 2020 when Dubai hosts the World Expo which should attract some 25 million visitors. Dubai is the fifth largest metropolitan economy in the world and has a hotel nightly capacity of 86% with over 45 million guest nights per year. As you can see Dubai is the place to vacation as it continues to improve its tourism market. Many international corporations also come to Dubai for conferences and other business dealings, so it is fast becoming a place where companies are going to for business needs, as well. Dubai is constantly working at increasing its market share in the tourism trade. It is currently focused on several projects that will help double its tourist industry by 2020. Whether you are an individual, family, or a business seeking a place to have a retreat of conference Dubai is the go-to place. Dubai has worked hard to build up its tourist market by providing great places to visit and wonderful views to see. Dubai has five projects it is currently developing to help improve and grow its tourism industry. 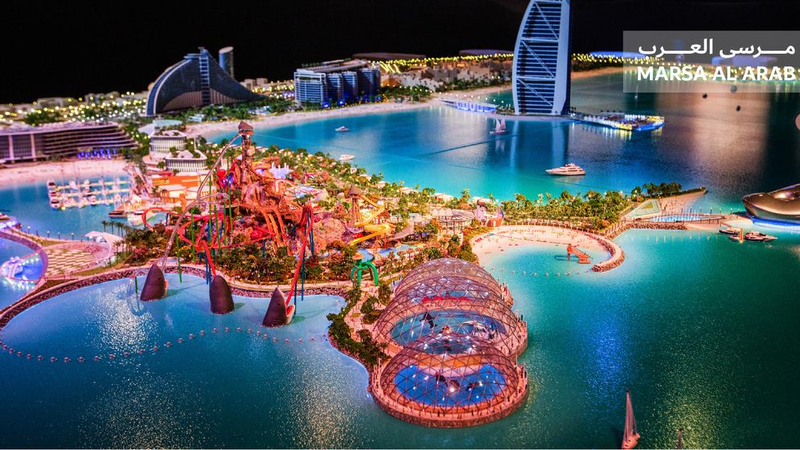 They are building a Six Flags Theme Park in Dubai, the development of the Bluewaters Island, the Marsa Al Arab, the Deira Islands, and the Dubai Creek Harbor projects. One of the ways Dubai is expanding its tourism market is with the popular American Six Flags Theme Park. It will be the first one in the Middle East. 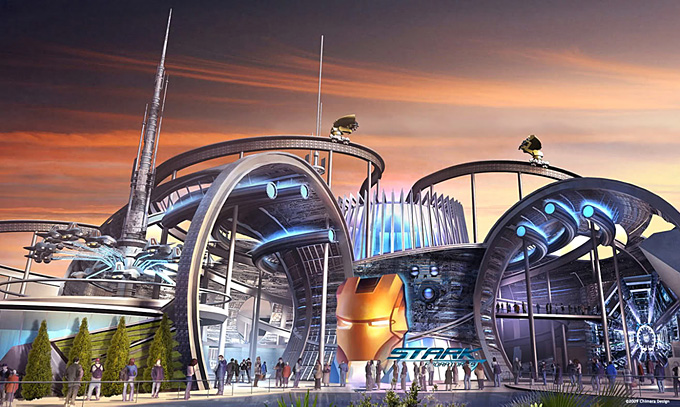 It will have six themed sections or zones that will build rides that promote the theme specifically. Twenty-seven rides will be featured in these themed zones including the worlds first rollercoaster, live shows, and additional attractions. There will be sixteen retail outlets and sixteen food and beverage outlets, as well. The park will cover a space of 3.5 million square feet and cost an estimated AED 2.6 Billion Dollars. Six Flags Dubai will feature at least three world record breaking rides, and have at least six rollercoasters, four aerial rides or attractions. They will include three areas for live performances too. The park will give special attention to having things for younger guests. Six Flags Theme Park in Dubai was originally supposed to open by the end of 2018 but has been pushed to opening in 2019. However, it was announced this week that the park may see delays as they reevaluate their needs over the next few weeks. It is sure to be an all time favorite with not only tourist but native Dubai residents, as well, whenever it does open! Americans have long enjoyed Six Flags with sixteen destinations in the United States. The Bluewaters Island is another part of Dubai’s plan to expand tourism to the city. Bluewaters Island is located off the coast of Jumeirah Beach near the Dubai Marina. With a 210 m observation wheel, Ain Dubia is set to be the largest in the world. The Ain Dubai is a ride you will not want to miss. The wheel can carry 1400 passengers at once and is the centerpiece of the island. It has 48 spacious capsules where the people sit. If you have never taken a ride in a wheel like this you are sure to not want to miss it. If you are worried about traffic to get onto Bluewaters Island you can bypass it by taking from Shaikh Zayed Road on a dedicated route. A fleet of driverless vehicles will also provide up to 2500 passengers an hour each direction between the island and Nakheel Harbor and Tower Metro Station. The process takes less than five minutes. The island will also have water taxis, so people who choose to live on the island instead of visiting really do not even need a car. There will be at least two luxury five-star hotels at the end of the island and a conference center with glass wall of windows overlooking the beach. This will be an interesting and pleasant place for businesses to have conferences and meetings. The island will host over 200 retail and dining outlets and waterfront residents, excellent hotels, and a marina. With such a vast selection of places to choose from tourist are sure to find something that fits their tastes and desires. Caesars Bluewaters Dubai is one of the luxury hotels you will find on Bluewaters Isalnd. They feature luxury and legendary service to provide for their guests every want in the modern-day metropolis of Bluewaters Island. The hotels and other businesses on Bluewater will offer guest a luxurious accommodations and awe-inspiring entertainment that will be hard to beat any place else in the world. Bluewaters will be an island oasis that is sure to provide a life-time of wonderful memories for those who choose to stay there. The Marsa Al Arab is scheduled to open in 2020. This costal attraction will encompass two man-made islands which are currently under construction. This development site will add 2.2 KM of beach frontage to Dubai’s coastline. One of these islands will be dedicated to entertainment and family tourism. The other island will have a private marina and 140 luxury villas with the highest levels of security to ensure privacy and safety of its residents. A larger and much improved Wild West Waterpark. The Wild West Waterpark is in front of the Burj Al Arab and offers thirty rides and attractions that are appropriate for the entire family. The Wild West Waterpark is developed around the tale of Juha, who is a well-known Arabian folklore character. A Marine park like no other in the world will be included inside the luxury resort. Over 400 food and beverage outlets for tourists to enjoy plus other places to entertain your family. A large assortment of retail stores for hours of shopping. The Dubai Peral Museum which not only includes a pearl farm, but also has a pearl themed hotel. This hotel will reflect the culture and national pride of Dubai. A 1700 seat theatre which houses the Middle East’s first Cirque du Soleil which is recognized all over the world. The Cirque du Soleil seeks to evoke the imagination and senses. They try to evoke emotions. Their shows are highly creative and artistic in nature. Marsa Al Arab will offer prime commercial space to attract international companies who would like to set up offices in Dubai. They plan a convention center which will be supported by the new hotel that will be fully equipped to serve and host large international conferences from companies from all over the world. As you can see Dubai has left little to chance when planning this new phase in their quest to lead in tourism throughout the world. Is it any wonder they are one of the fastest growing business and tourism hubs in the world? 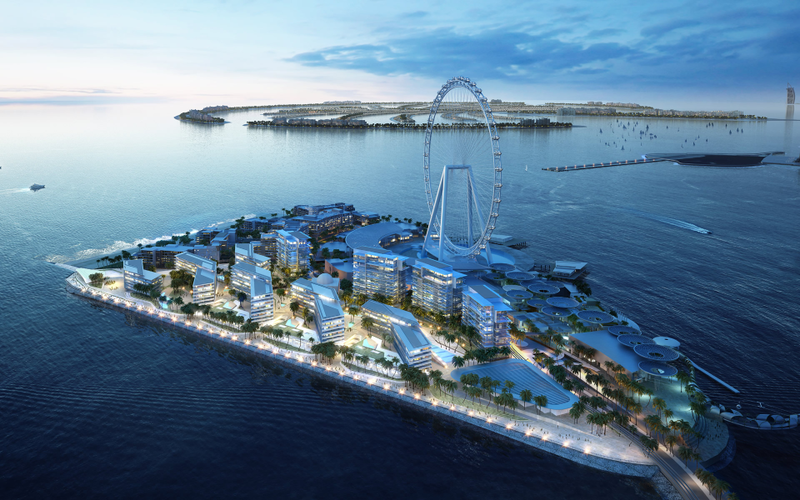 The Deira Islands are set to open in 2020. They will include 15.3 km of waterfront which is currently under development in Dubai. Deira Islands is spread across four man-made islands in the north side of Dubai near the Sharjah border. This development will create 40 km of new coastline, which will include 21 km of prime beachfront real estate. The view alone will attract visitors. One of the biggest the Deira Night Souq. The Deira Night Souq expands 1.9 km along the waterfront. 5300 shops are featured here, and 96 food and beverage outlets will also be along this area to meet every guests’ personal tastes, desires, and needs. Deira Mall will be found here, as well. The Deira Mall will be one of the largest Malls in the world and contains 45 million square feet of leasable space. It will include 15000 square feet of places for family entertainment. Deira Island will host a massive amphitheater capable of housing 30000 people all at the Deira Islands like the other projects will enhance the appeal to tourist and international businesses from all over the world making the Deira Island another fabulous place for families looking for a great place to vacation or international companies looking to set up or hold large conventions. This brings us to our fifth and final project on our list the Dubai Creek Harbor project which is scheduled to open in 2020, also. The Dubai Creek Harbor is located next to the Ros Al Khor Wildlife Sanctuary. 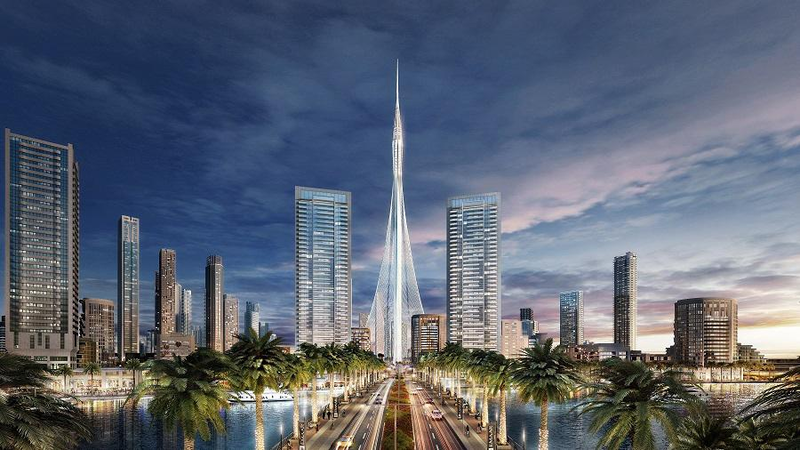 The Dubai Creek Harbor will be home to the city’s tallest building which will cost roughly one billion dollars, the Santiago Calatrava. The first phase of development will be launched in 2020 for this project unlike the others which will be mostly completed by the time Dubai hosts the World Expo that year. The tower is set to rival Burj Khalifa as Dubai’s most iconic building. A marina and yacht club. Lots of commercial space for businesses to set up shop. Although pricey the benefits should far exceed the costs over time and bring in new tourists for years to come as Dubai continues to expand and grow. This helps Dubai in other ways by providing incomes and tax money to provide for the needs of the citizens. With the expansion of these five projects Dubai is paving the way to extensive new incomes in the coming years for their tourist industry. The fact they have come so far in such a short time is amazing. The money they have invested in tourism has paid off handsomely and continues to play a huge factor in their successes. 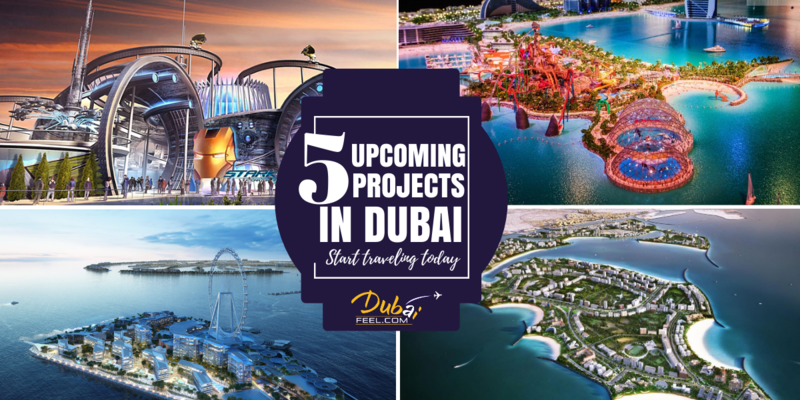 Not only do these projects provide valuable jobs to residents, but they attract travelers and businesses’ from around the world who came and pour money into the economy of Dubai. In the coming years Dubai should continue to see growth as corporations are drawn to Dubai for conventions and to possibly establish businesses in Dubai as it continues to grow with technology and offer value to potential customers and visitors. The entertainment, fabulous hotels, restaurants, and places to shop will continue to draw in visitors from around the world making Dubai a sought-out place for years to come. However, Dubai cannot afford to slack up as competition is steep in these markets and to stay on top Dubai will have to continue to expand and grow in order to continue to appeal to tourists throughout the world.